8'. Delort's shot bounces back off the post. 21'. A move down the left ends with Memphis's shot being parried by Lafont. 22'. Jean hits the crossbar with only the keeper to beat. 28'. Lopes holds Trejo's effort. 36'. Jallet scores with a piledriver that goes in off the underside of the crossbar. 1-0. 47'. Cornet's right-foot shot goes in after he breaks through on the right. 2-0. 53'. Memphis scores from a brilliant Jallet through ball. 3-0. 65'. Memphis misses a sitter after yet another superb cross from Jallet. 67'. Gonalons' long-range effort is turned away by Lafont. 83'. Memphis lobs the keeper from the halfway line to score a stunning goal. 4-0. 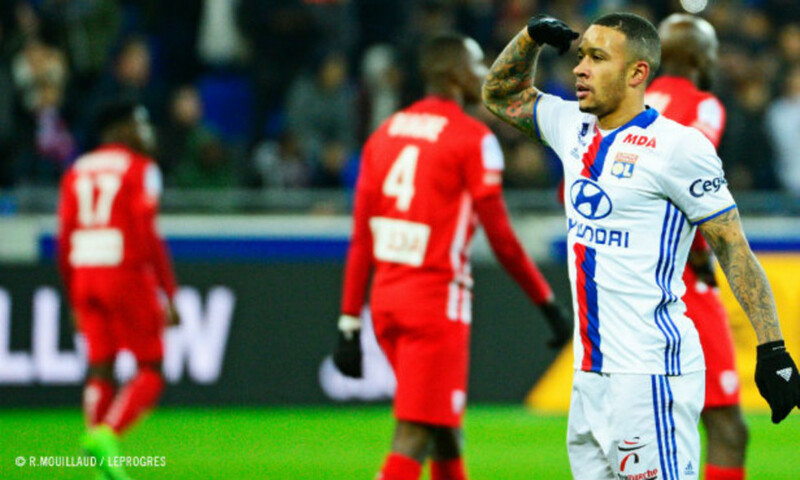 With both third-placed Nice and Saint-Etienne having drawn and with Bordeaux taking a backward step in their chase for fourth place, OL were on a quest to strengthen their league position between two high-end Europa League meetings. 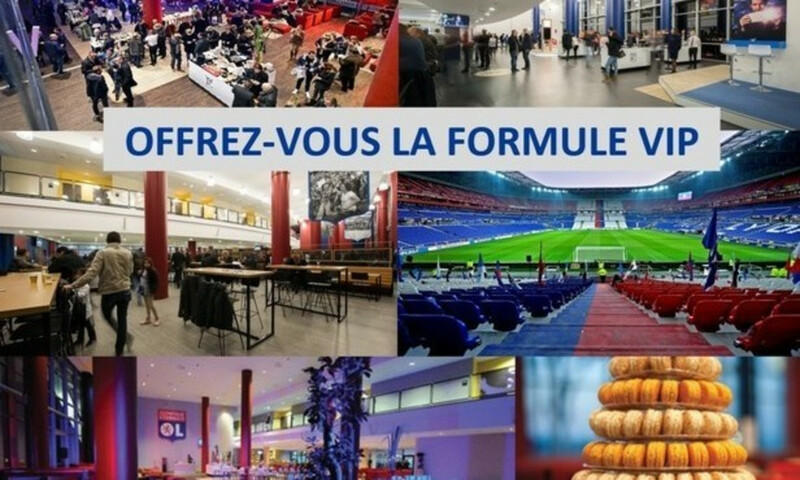 It was therefore a largely reshuffled team that hosted Toulouse for the first time at the Parc OL. The visitors fielded a side that wasted little time in setting their sights, but the post of Lopes' goal parried the shot to deprive Delort of a welcome gift. After Lyon's first chance fell to a high-impact Memphis, it was the crossbar's turn to deny Jean's plans. It was finally Jallet who managed a way through with a fierce shot that stretched the netting... after bouncing in off the crossbar. Lyon were far from unhappy to be ahead at the break. They nevertheless started the second half with their pedal to the metal. Cornet doubled the lead with a rocket after dribbling round Trejo. Soon after, Memphis, put through perfectly by Jallet, slotted past Lafont with a curling shot for the third goal. All in the space of five minutes. The two forwards, looking unplayable, then combined again but Memphis missed a seemingly unmissable chance. He soon made amens with a much more difficult feat... a goal lobbed from the middle of the pitch! This masterpiece capped off a wonderful evening at the Parc OL. 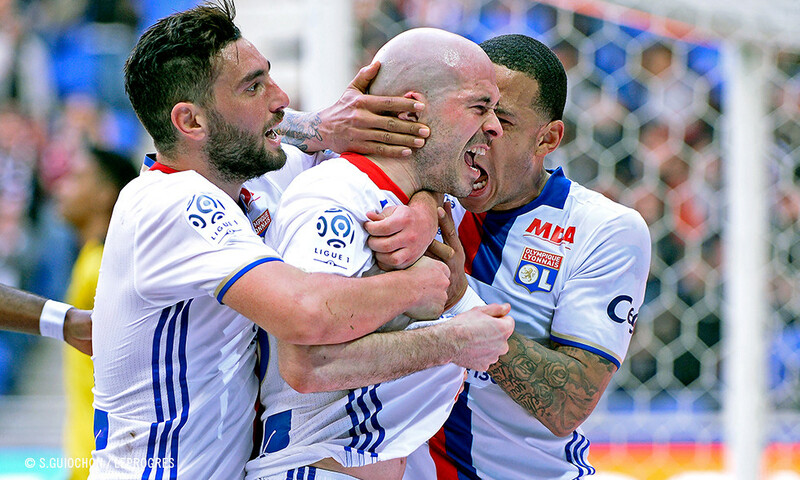 This third win, along with a draw, in four league matches sees OL gain two points on Nice and consolidate fourth place. It was also an ideal preparation for the Europa League return leg in Rome on Thursday. All while allowing some players to rest as well as reboosting the confidence of non-regular players. The perfect evening! There was nothing in it. A few millimetres different in the first half and the match would've taken a completely different route. The outcomes of three attacks were decided by the frame. And in this little game of posts, Lyon were certainly not the hardest done by. So much the better forMax Gonalons and his teammates since they would've been two goals behind after 20 minutes of play if only the right-hand post and the crossbar hadn't respectively diverted Delort's and Jean's efforts. A few minutes later, OL took the lead thanks to an ultra-powerful shot from Jallet that hit the underside of the crossbar and went in. Cornet followed suit just after the break - with the same result. Truly a story of millimetres. 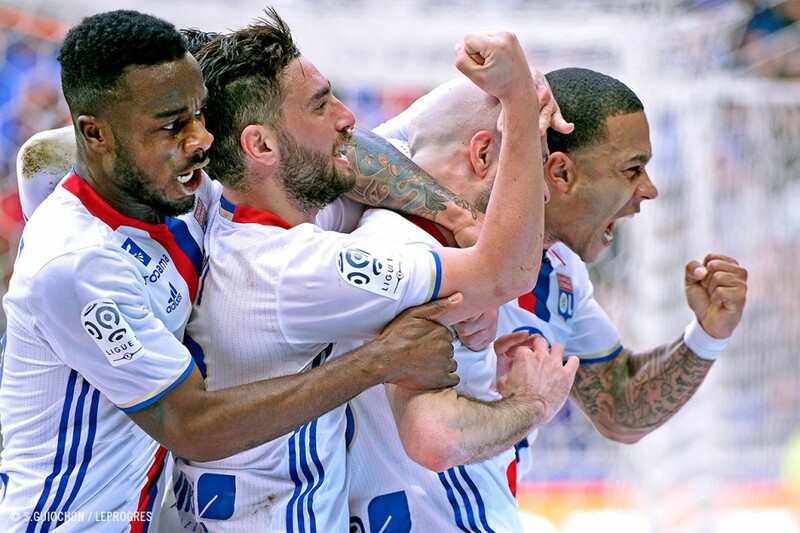 Bruno Genesio's players don't stop treating the Parc OL to a show. It's been on at the stadium since the start of 2017. 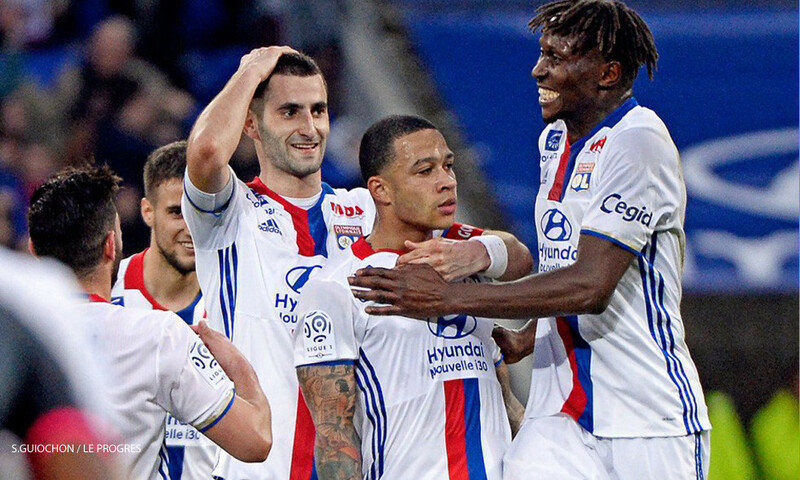 In the space of three big months, Lyon have played nine matches at home in all competitions combined, during which time they have scored no fewer than 37 goals, or an average of four goals per game! 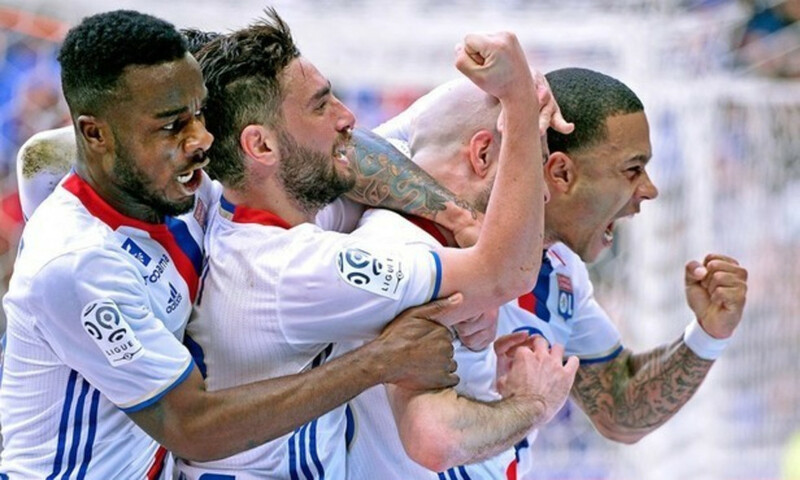 An impressive display of attacking football that seen OL win eight matches at home since January, with only the one defeat (against Lille). "The first half was tough. We had a bit of luck with those two chances for Toulouse. Those could've changed everything and we might've been behind at the break. We recovered well after that. It's a perfect evening because we scored more beautiful goals and this match allowed us to rest certain players like Tolisso and Lacazette. And that showed the quality of other players. This match is very important because it was hard to prepare between the two meetings against Roma. There were no injuries. This is a really positive round. There's a lot to be pleased about." Ayt the Parc Olympique Lyonnais in Décines. 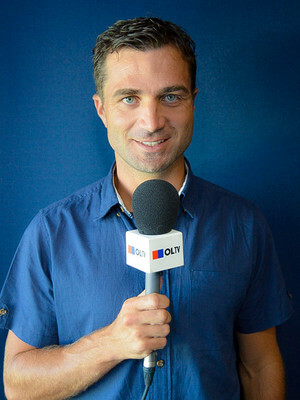 Referee: Benoît Bastien. Attendance: 34 463. Goals: Jallet (36’), Cornet (47’), Memphis (53’, 83') for OL. Yellow cards: Darder (4’) for OL. Yago (32’), Trejo (88’) for TFC. 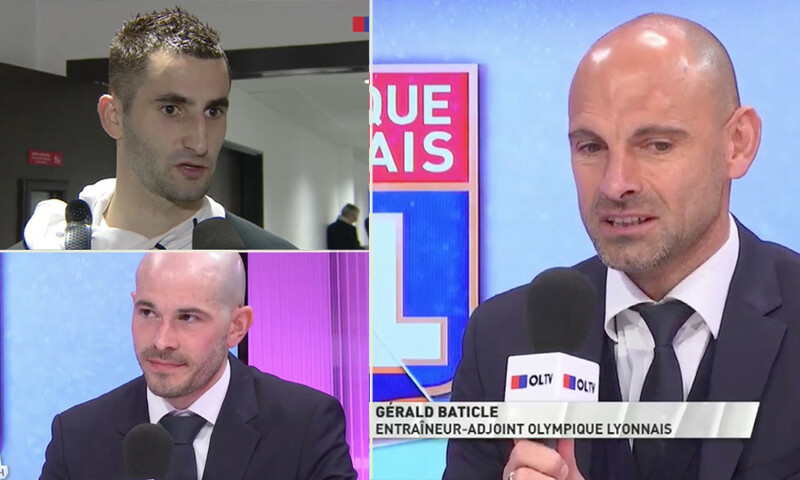 OL: Lopes – Jallet, Yanga-Mbiwa, Diakhaby, Morel – Gonalons (cap. ), Ferri, Darder – Memphis (Ghezzal, 86’), Cornet, Fekir (Valbuena, 71’). Coach: Bruno Genesio.